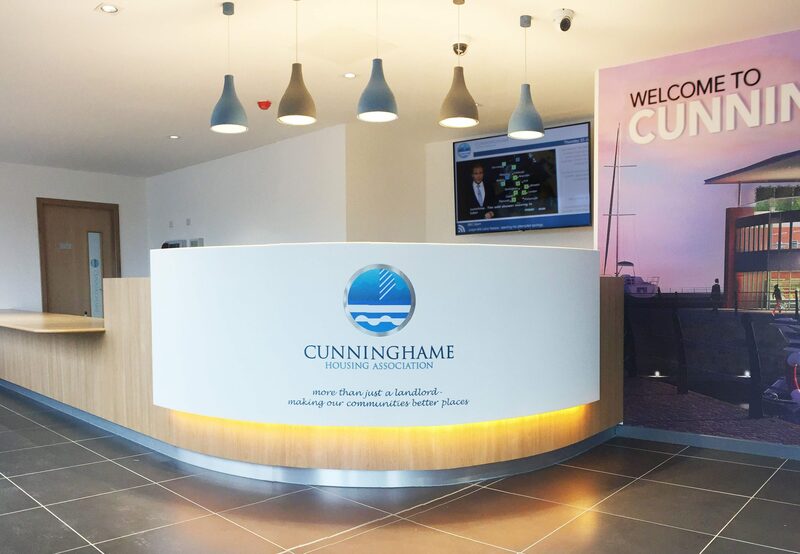 MAST were engaged by our longstanding client Cunninghame Housing Association to develop proposals for the internal fit out of a recently completed office building at Ardrossan Marina, to act as a new headquarters for the Association within a prominent quayside location. 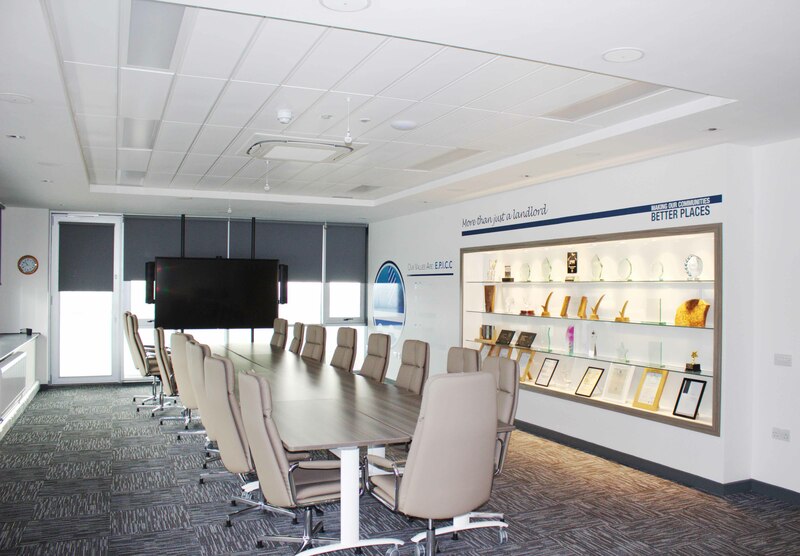 The project entailed the provision of new open plan office and meeting spaces for each department within the original ‘shell’, as well as the creation of an executive wing comprising offices for the Chief Executive and a boardroom for the Association’s committee. A portion of the building was also given over to lettable office space for third parties. We worked closely with the client to develop a crisp and contemporary interior design strategy, with graphics and glazed partitions used throughout the building to enliven workspaces and meeting rooms. 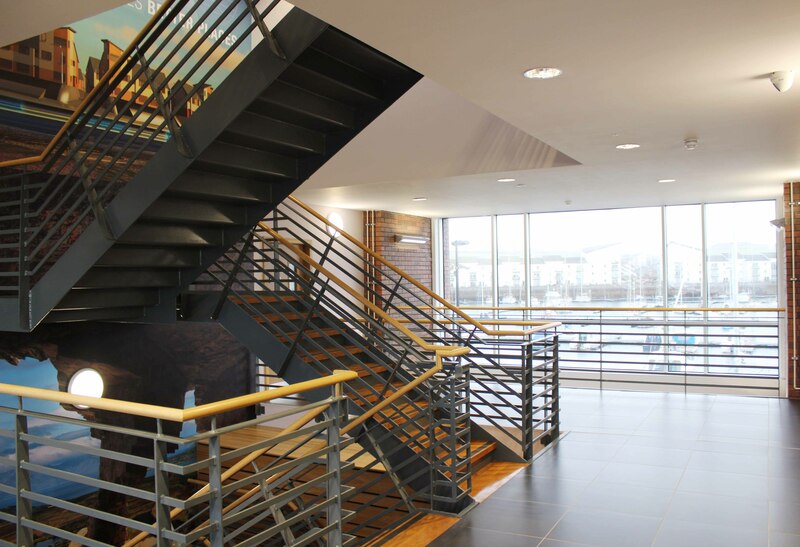 Artwork and feature lighting is also a key feature of the new reception area, which provides the Association with a public facing ‘shop front’ for clients and consultants arriving at the building. 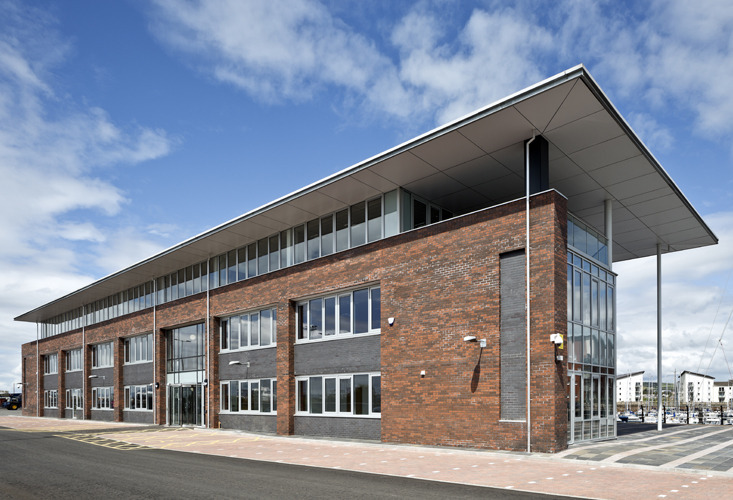 The creation of this new headquarters is a significant move for the Association, marking both the development of their activities within the Ayrshire area and the growth of their services into new fields.